From 3rd May, you’ll notice some changes when completing our SDLT submission forms – including Companies House look-up and 14-day alerting. We’ve made it quicker and easier for you to add company information as you complete your SDLT forms within our tmgroup platforms – with our new Companies House look-up. Once populated, you’ll be able to amend the address if you wish. To help support you in meeting the new SDLT payment and filing deadline of 14 days, which came into effect on 1st March 2019, we’ve added some useful alerts within our tmgroup platforms so you can clearly see the expected deadline for each form. • Page 1 of the SDLT form: Once you’ve entered the ‘Effective Date of Transaction’ on Page 1 of the SDLT form, we’ll automatically show you the latest date for payment and filing (based on the new deadline) – immediately below the ‘Effective Date of Transaction’. • Page 6 (Summary Page): This same deadline will also appear on your Page 6 Summary Page, as a reminder of the new deadline for payment and filing. • Draft – Submission Due: This will appear when your ‘Effective Date of Transaction’ is less than 5 days from the submission deadline. A red dot will also be displayed against the case, as well as a ‘Needs attention’ message on the SDLT tile under ‘Services’. • Draft – Submission Date Passed: This will appear when your ‘Effective Date of Transaction’ submission deadline has passed. The same message will also appear on Page 6 of your submitted form. Transparency rules: Would your firm pass an SRA sweep on your website? 4 months on from the transparency rules coming into effect on 6th December 2018, we caught up with Richard Williams, Policy Associate from the Solicitors Regulation Authority (SRA) at LegalEx 2019 to hear the latest. • Managing client cost expectations from day one and reducing the risk of price-related complaints further into the transaction. • Market differentiation and attracting new clients, as more people use legal services and shop around. • Sending a clear message of adhering to market standards and regulatory protections, helping them to win new business and give their clients peace of mind – as 80% of consumers said they were more likely to go with a firm with a badge on their website. You can find more information about adding complaints procedure information to your website here. As the official deadline of 25th November looms closer, the SRA will continue to keep a close eye on the uptake of the new rules. They will be carrying out web sweeps to see how information is displayed – including an impending random sweep of 500 firms. Could your firm be one of them? The SRA will also be speaking with firms to see how they are adapting to the changes, as well as engaging with consumers to raise awareness of what they should now expect to see on a firm’s website. This extends to following up on any consumer complaints and discussing with the relevant firm where they might need to make some improvements. The SRA will also be finalising their new Digital Register, expected to be launched in late November in line with the official deadline, bringing firm information together into one consumer-friendly place, where they will be able to validate their choices. Richard noted that this will not be a price comparison tool. Why were the transparency rules created? The transparency rules were created to give the general public better access to legal services and information, after a survey of over 5,000 people revealed that only 15% were able to find the price information they needed. The new rules were also driven by research into consumer behaviour and a growing appetite to shop around for legal services, as it was found that 71% of people spend more than an hour researching their options and 66% consider more than one provider. Why is lack of information such a big issue to address? 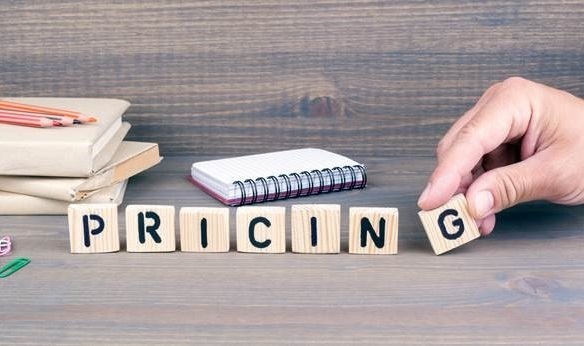 In the absence of pricing information, individuals assume that legal services are unaffordable – with a perception that they are 25% more expensive than they actually are. It’s a serious barrier to people getting the legal help they need and can also have a knock-on effect on the volume of work coming into the industry. Fortunately, the new rules are already bringing positive change. John Madge at Cox & Hodgetts Solicitors explains how switching to tmconvey’s Post-Completion services has helped him to speed up SDLT submission in his firm by 2 weeks. “Before using tmconvey’s Post-Completion services, my firm relied on posting paper SDLT submission forms to HMRC – and I would typically be waiting weeks for my SDLT5 forms to be returned. Even the quickest turnarounds were at least a fortnight. This put pressure on my AP1 submission times and put them at risk of cancellation. Not only that, but occasionally forms would go astray, and I would have to waste time making chasing calls – and sometimes even start from scratch if they went missing completely. “I’ve been using tmconvey’s Post-Completion services since October 2018, and find it so much quicker than paper submission – especially as my SDLT5 forms are returned in seconds. “I always used to hate complicated scenarios when it came to filling out the SDLT form, such as a freehold property with a separate leasehold garage under a different title, as I would never be 100% sure of the sections I should fill out or whether the form would be sent back to me with additional queries. However, as tmconvey’s online forms only present the fields I need to complete, it’s simple to fill out and get it right first time, so I can get the results returned just as quickly as any other submission I’m working on. Want to find out how tmconvey’s Post-Completion services can help to save your team time when submitting SDLT forms? Take a look at tmconvey’s Post-Completion services, or request a FREE demo of tmconvey’s Post-Completion services. The 14 day SDLT payment window is just around the corner. Are you ready? We seemed to go from paper search requests to electronic almost overnight, creating digital plans with drawing tools and whizzy things that could tell us about an area of the country we’d probably never heard of before let alone knew anything about. Technology becomes a victim of its own success and the more it can give us the more we want, expect and demand. I’m proud to see my company not only move with the times but be ahead of them. Post-Completion is a good example. We’ve seen the time taken to complete the forms reduced to minutes as they can be done electronically and submitted with one button. No more paper forms, the tmconvey platform is interactive and brings in the SDLT1-4 when needed and the SDLT5 certificate returns electronically. Times are a-changing and following a lengthy consultation, the 14-day SDLT payment window is coming in on 1st March. The new payment window is being introduced to help further improve SDLT submission. It should hopefully also bring more consistency to the industry by encouraging firms to use the latest technology to save time and reduce risk. This is a big step forward and reflects the changes and advances in technology, although I’m sure it will be the cause of anxiety for some firms. One of the areas that seems to be of concern with firms is visibility and transparency (big buzz-words at the moment) and our Post-Completion services give you this. You can see the dates, times, submission status (and more) making it easy to keep your eye on that 14-day submission on the horizon. Our integrated Post-Completion services have already saved lots of time for firms – including Cox Hodgetts LLP, who now receive the SDLT5 forms direct to the tmconvey platform within seconds of submitting their SDLT forms. They also find it quicker and easier to submit their SDLTs as our intelligent forms only present the ﬁelds they need to populate, reduce the risk of sections being missed and errors being made – even on more difficult cases. That’s not all. When cases are created on the tmconvey platform, it provides a seamless link with the Post-Completion forms to pre-populate information, which saves time and reduces the risk of re-keying errors. We’re also introducing look-up features for finding additional information to save checking separate websites, which will further reduce the time to submit, as well as the potential for error. The best bit? SDLT submission via tmconvey’s Post-Completion service is available free of charge to all customers using the tmconvey platform and services, so you don’t have to worry about HMRC’s anticipated on-going costs of “amending systems and/or processes to ensure returns are filed and payments are made within the 14 day deadline”. Just to remind you, the measure reduces the time limit that purchasers have to file a SDLT return and pay the tax due from 30 days to 14 days – and will apply to transactions with an effective date on or after 1st March 2019. If you’re worried about meeting the new deadline, about to launch into a ‘pesky technology’ tirade or just want to find out more about how the latest technology can help save your team time, why not take a look at tmconvey’s Post-Completion services, request a FREE demo, or send me an email at Alex.Jackson@tmgroup.co.uk. The latest LPM Legal IT Landscapes Report has revealed that firms are feeling increasingly threatened by legal technology-based new businesses and are keen to adopt new technologies to set themselves apart from the competition – yet many are equally concerned that their firms simply aren’t allocating enough budget to keep up. Sponsored by tmgroup, along with a handful of other key players in the legal services and technology sector, the LPM Legal IT Landscapes Report 2019 shows that just 6% of the average firm’s revenue is invested in technology, and of that only 12% is spent on new things like creating client-facing systems – equating to approximately 0.5% of revenue. With such minimal investment, it is hardly surprising that 52% of firms do not believe they devote enough to new or non-business as usual technology. No doubt, this is exacerbated by the perceived threats in the market including; ‘Legal technology-based new businesses’ – concerning 18% of respondents – and ‘firms just like mine already in our geographies’ (15%). Both of which highlight that firms are becoming increasingly aware of the need to set themselves apart from the competition in order to succeed. According to the report findings, technologies expected to bring the best combination of competitiveness and efficiency to law firms are client portals, Case Management Systems (CMS) and Artificial Intelligence (AI). Firms investing in these technologies are already benefiting from increased efficiency and being able to deliver an enhanced customer journey, whilst those who aren’t should explore which technologies will give them the best return – even with just a slight increase in their technology budget. It’s also about understanding the technology investment that is both plausibly affordable for each firm AND has the potential to move the dial on revenue. For example, automating repetitive and mundane tasks can free solicitors up to spend more time on informed decisions and delivering a better overall customer experience; resulting in up and cross sell opportunities, repeat business and referrals. This is where LPM’s ‘competitiveness v efficiency’ chart can really help to narrow down the search, with technologies such as client portals ranking highly. Available through conveyancing platforms such as tmconnect, client portals can make a real difference to the customer experience – from empowering clients to keep an eye on progress and communicate securely with their solicitor, as well as receive online forms and complete tasks. With so much to be gained, is it time firms started asking themselves if they are truly placing their customers at the heart of their investment decisions? The LPM Legal IT Landscapes Report 2019 is an annual snapshot of law firms' changing technology priorities – published on Friday 8th February 2019. You can find out more about the Legal IT Landscapes report here and read a full PDF version of the report here. 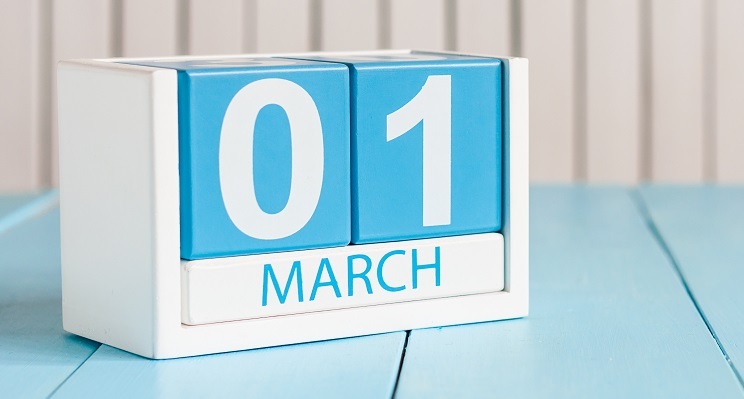 Is your firm ready for the NEW 14-day SDLT payment window on 1st March? Did you know? The SDLT window is reducing from 30 days down to 14 days from 1st March 2019. Don’t panic! There’s still time to get your house in order. According to HMRC, the measure reduces the time limit that purchasers have to file a SDLT return and pay the tax due from 30 days to 14 days. The new time limit will apply to transactions with an effective date on or after 1 March 2019. This is a positive step forward for conveyancing; reflecting the impact of new technology, digitisation and integration on streamlining the SDLT submission process – and tmgroup is proud to be at the forefront of this innovation. As the new payment window is being introduced with a view to improve the efficiency of the SDLT system, the deadline should also encourage even more firms embrace the new technology available to them, and in doing so further standardised the high levels of efficiency many firms have already become accustomed to. This measure will affect approximately 20,000 businesses, including small and micro businesses who are mainly licenced conveyancers and solicitors. Whilst the impact is expected to be minimal, with the majority of returns already filed within 14 days of the transaction, many firms lack the visibility of their processes to fully understand whether they are already meeting the deadline (or not) – ahead of 1st March 2019. This uncertainly is likely to be the cause of much of the anxiety experienced in the lead up to 1st March. However, for firms already embracing the latest technology, such as tmconvey’s integrated Post-Completion services, they already have complete visibility and peace of mind of their end-to-end processes – including time stamps and history, and status updates of exactly which SDLT forms are in draft, in process, submitted and returned. HMRC also anticipates that “on-going costs may include amending systems and/or processes to ensure returns are filed and payments are made within the 14 day deadline”. However, SDLT submission via tmconvey’s Post-Completion service is available free of charge to all customers ordering cases. For those unsure of whether they are meeting the deadline or worried that their current processes may not be up to scratch, there is still time to explore alternative options and save time. • Take a look at the HMRC website guidance on the upcoming changes. • Take a look at tmconvey’s Post-Completion services. • Or request a FREE demo of tmconvey’s Post-Completion services.